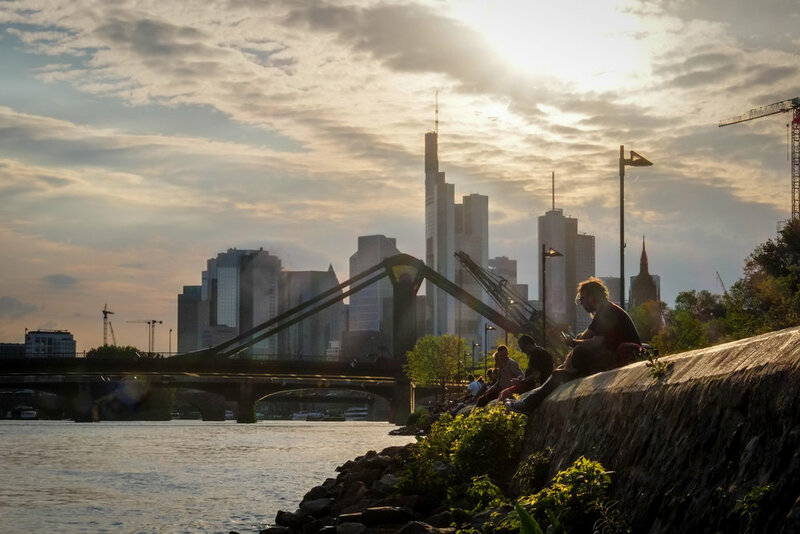 Frankfurt am Main, financial capital of Europe and Germany. From a distance, this city looks like a collection of modern and inwards-facing office towers made of steel, glass and concrete. 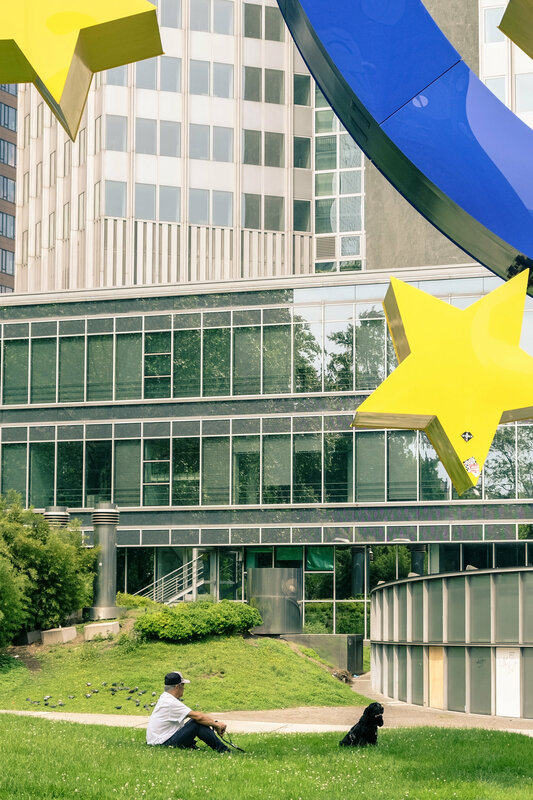 Giant institutions such as Deutsche Bank and the ECB are putting their mark on the European economy from the board rooms of these skyscrapers. This demonstration of power and pride certainly looks impressive, and when walking around ‘Mainhattan’ you can’t help but keep looking upwards until your neck hurts. When I moved to this city to do an internship there, my first impression was exactly this. Cool but also cold. I had a real sense of being at the heart of where business is done. But then spring arrived, and I started observing the city more at street level, paying attention to those people who are actually using this city to create the best possible life for themselves. I noticed that, with the skyline as a backdrop, the streets have a completely different dynamic. Here, I found a human touch. These are the things that demonstrate that real life is not only about numbers, but instead about social interaction, creativity and enjoying the sun with a cold beer. In this photo series, I documented the ‘human’ aspect of this great city, showcasing the relationship between the people of Frankfurt and the structures around them. And turning their demonstration into a dance party in the meanwhile. Only at night, when the people go back home and the streets are empty, Frankfurt is just this set of buildings. Until sunrise.